To celebrate the 80th anniversary of the Uiver landing, several community organizations banded together to celebrate with a range of Uiver-related activities. The then Dutch Ambassador, Annemieke Ruigrok, and her partner Edward Peet were special guests in Albury for the weekend. 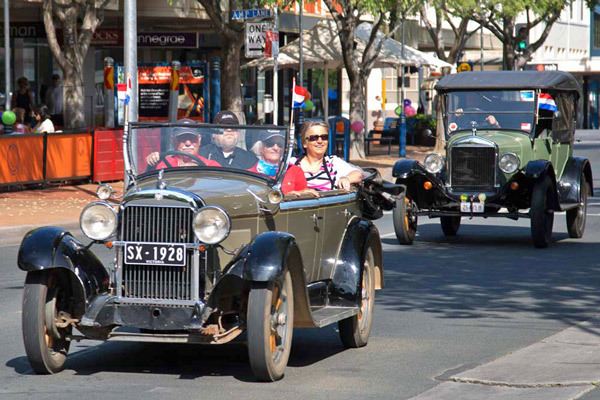 In the morning they were driven in a vintage car parade from the main street of Albury (Dean Street) to the Albury and District Aero Club’s Airport Open Day. Their vintage car ride was in a 1928 Essex. Incredibly, that Essex was one of the cars present at the Albury racecourse in 1934 for the real Uiver rescue. It is one of only three known surviving Uiver-rescue cars. Dutch Ambassador Annemieke Ruigrok and partner Edward Peet chauffeured down Dean Street in a 1928 Essex which was actually one of the cars at the Uiver rescue in 1934. 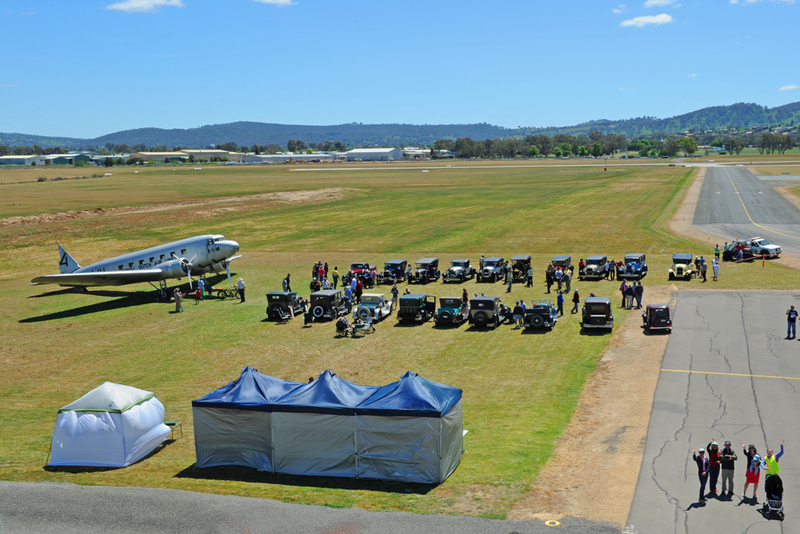 The Airport Open Day featured a ground re-enactment of the Uiver landing with vintage cars of the era lined-up in two rows in front of the Albury DC-2 to form a makeshift runway. The vintage cars were arranged by members of the Albury Antique Club of Albury Wodonga. There was also a mini-fair, with food stalls, an aircraft simulator, the model railway club, and a Dutch organ playing. 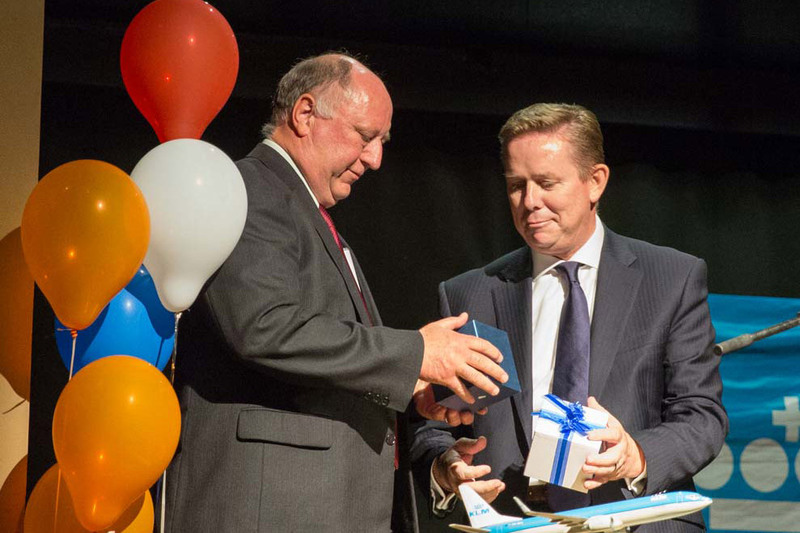 At 3:00 pm, the Albury City Mayor, Kevin Mack, hosted a private Civic Reception at the Albury Entertainment Centre for the Dutch Ambassador, Richard de Crespigny, UMCT Directors, and selected guests. 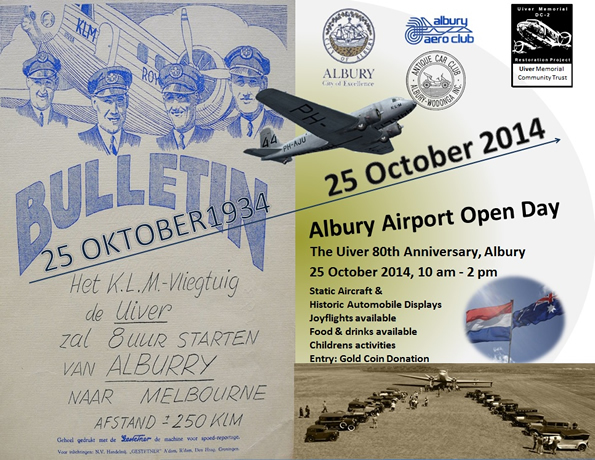 The Uiver Memorial DC-2 and vintage cars on display at Albury Airport. 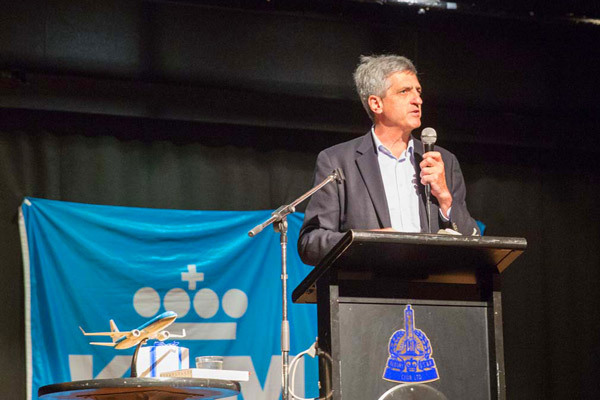 High Flying Heroes guest speaker Richard de Crespigny. The major attraction was an evening function with Richard de Crespigny. Richard spoke of his experience flying the QANTAS flight QF32, an Airbus A380 which suffered uncontained engine failures and major systems failures, and still managed to land safely back in Singapore. Richard generously donated his speaking fee to boost our fundraising. 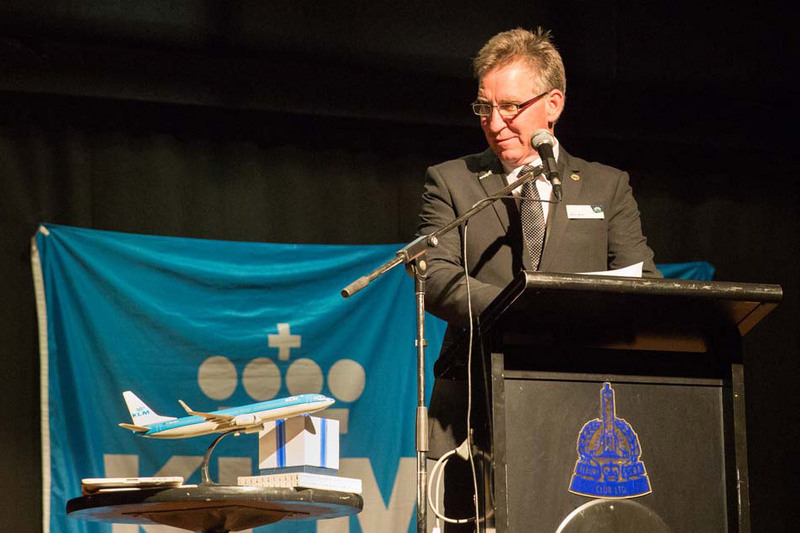 Simon Spinks, General Manager Pacific for Air France-KLM generously donated two return airfares from Australia to The Netherlands for a charity auction to also boost our fundraising. The Dutch Ambassador and the Mayor of Albury also spoke at the event. 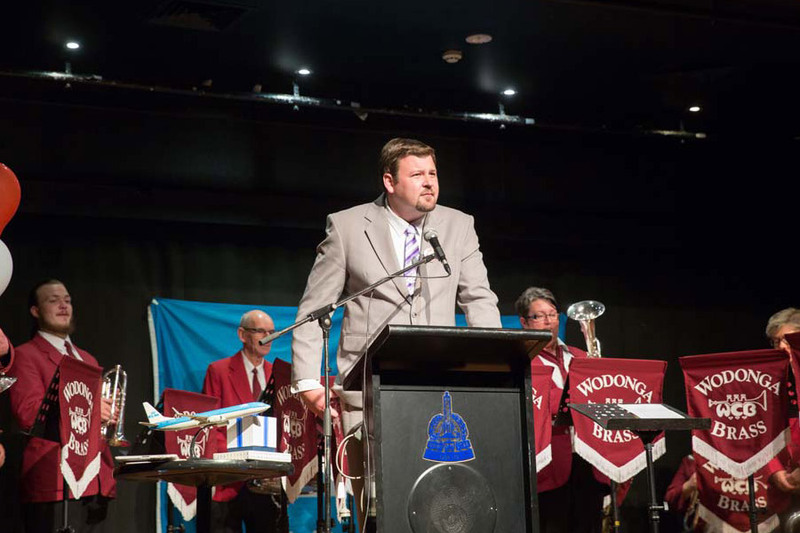 Also that evening, the Wodonga Brass Band played a stirring rendition of a tune by the name of ‘Albury’, that had been composed by the Dutch for the visit of then Albury Mayor, Alf Waugh in 1935. Click here for a story from the ABC about the original version of the ‘Albury’ tune played by the Assen Military Band in The Netherlands, and a recording of both the Dutch and Wodonga Brass Band renditions. 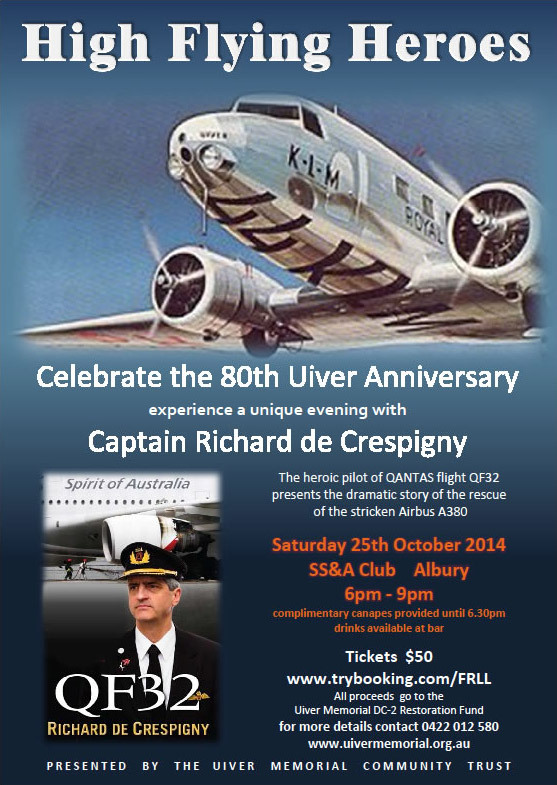 The 80th Uiver Anniversary was a great success, and to top it off, AlburyCity Council signed the ‘Uiver Memorial’ DC-2 to our organisation (for $1) the day before the commemorations.